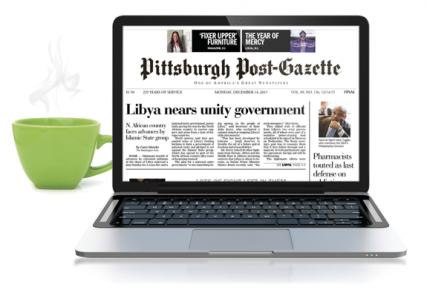 Access today's Post-Gazette edition from your desktop, laptop, or tablet device. Whether you're in the comfort of your home, your office or traveling, instant access to PGe is a simple click away. Get the latest news and features from all over the world, across the nation and around the block. PGe is always included in any print or digital subscription. For optimal experience, click here to check your browser.